Let Splinters take your wants, needs, desires, or plans for a project and develop them, then create them into an end result you will love. Custom Cribbage Boards : We can create cribbage boards in any size and shape, and they are not mass produced; therefore each one is unique. Custom Cutting/Bread Boards : Custom cutting /cheese /bread boards created to your desires. Custom Pizza Peels : Custom Pizza Peels created to your desires. Custom Foot Stools : Ask us about our wooden foot stools. Please contact Splinters with any questions you might have about ordering a custom woodworking project. Amazon Search Box : A small percentage of all your purchases from Amazon.com helps support Splinters Woodworks. Your order or inquiry does not have to be woodworking related. We are a family owned/operated custom woodworking business located in beautiful Northwest Montana. More about Splinters. All of our products are made with pride by Splinters Woodworks in West Glacier, Montana, USA, and carry the "Made in Montana" stamp of approval. taking your thoughts and/or ideas and create an end result you will love. creations to be passed on from generation to generation. putting life back in the wood used to create the products. We look forward to working with you to create that custom project. Your satisfaction is very important to me. 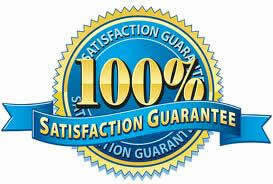 Therefore, all of my products are backed with a 100% guarantee. Splinters Woodworks is a verified member of PayPal and accepts the following types of credit cards. All PayPal transactions are covered with 100% protection against unauthorized payments sent from your account.